Trick to Convert Supercash of Mobikwik can be easy for you. As you can now convert your Mobikwik Supercash into Mobikwik wallet. Mobikwik is one of the best wallets to get possible maximum cashback from your various recharges but when they started to give all their cash back into Supercash till then it became one of the most hated wallets for Recharges. But now you can redeem your Mobikwik Supercash" into Mobikwik Wallet itself by using this "trick to redeem Supercash balance of Mobikwik. As they are testing their beta version of apps and giving some tokens to redeem or convert your cash Supercash into Mobikwik Wallet. Let's move ahead! How can we actually convert the Supercash Balance of Mobikwik to use it as a main Balance of Mobikwik for further recharges? In this article, we are going to guide on this "trick to convert Mobikwik Super balance" aka SuperCash. By this trick, you can literally use it as the main balance of Mobikwik Wallet. First of all, you have to Download the latest Mobikwik App from the Google Play store. 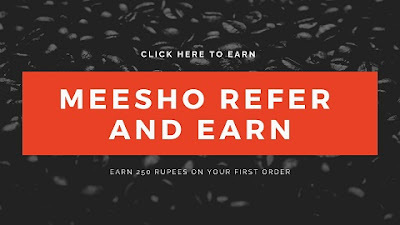 Signup with your Number and Enter 5RNBU3 as Referal to get Rs100 SuperCash on this app. Next after that you they ask you to Enter your Mobile Number and Your Aadhar Number. One thing you should keep in mind that you have to fill your Name which is mention in your Aadhar Card. This step is just for your Authentication, here you get another OTP code on your Aadhar Card registered Mobile Number. Enter New OTP Which you get on your Aadhar Card Registered Mobile Number. After, Successfully Enter OTP. You can see your Residence Address mentioned in your Aadhar Card. You can change it also. Confirm your address, Now Click on "Submit"
Successfully!! You create your Account on Mobikwik App. Now Add Rs 20 in your Mobikwik Wallet via Credit/Debit Card only. Follow upper instructions given and surely you will get Rs 100 Supercash. Now you can Refer your Friends and Get Rs 100 per Refer. Scroll a bit below and become a Beta Tester. After a few minutes later, you'll become the Beta Tester of the Mobikwik Wallet. Now Updates/Download this Beta Version of Mobikwik Wallet. After in this Beta Version of Mobikwik wallet you'll see Supercash Statement Option. Now there you can see the Convert To Cash option, Click on it. After this Buy the Scratch Card of Worth 50 Rs. Scratch the Card and you'll get any Random amount between 0-50. Your scratch amount will be instantly to your Main Mobikwik Account. If you were searching for the trick of converting your Supercash Balance of Mobikwik. Then you can use this trick to convert your Supercash Balance into the main Mobikwik wallet. Use this trick further to redeem whole your Supercash Balance of Mobikwik. yes they are cheating does anybody got the wallet cash from supercash.? ?